It’s the last Friday before Christmas, which means it’s time for Pavé’s Second Annual Last-Minute Holiday Gift Guide. So without further ado, here are some affordable ideas for the cyclist on your gift list—or for that last-second plea to Santa. 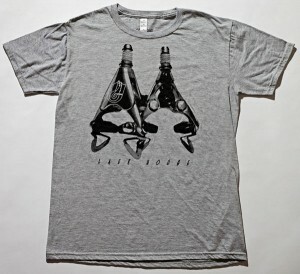 Just because you’ve never ridden up the Mur de Huy or owned a set of Campagnolo Delta brakes doesn’t mean you can’t own the t-shirts thanks to Gage & Desoto and Laekhouse, two companies based out of New York City. 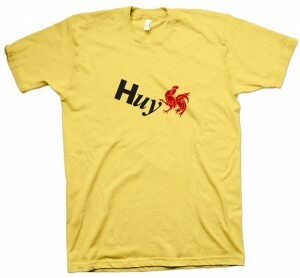 Both are printed on soft, supple American Apparel tee’s and both feature images certain to make any aficionado smile. Get’em while they’re hot! Let’s Keep it Clean, Folks! 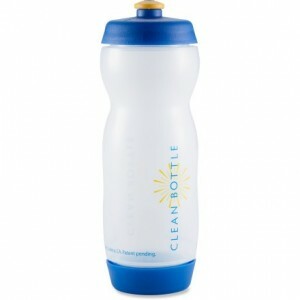 You might recall bearing witness to one of the sport’s most clever marketing campaigns during this year’s Tour de France as Clean Bottle found a creative, relatively inexpensive, and memorable way to get the word out to their target audience. Made from 100% non-toxic, BPA-free plastic, the first time I picked-up the dishwasher-safe bottle I thought, “Now why didn’t someone else think of this sooner?” With a leak-proof, screw-off bottom, funky bottle should be one less thing you’ll have to worry about next season. If you order from their website, you can get 4 bottles for the price of 3. It was only a matter of time before Rapha started a skincare line of it’s own as chamois cream and embrocation are staples of any serious cyclist’s wardrobe. But soap? Really? Well, I don’t remember how Mont Ventoux smells, but let’s just say I’m willing to take Rapha’s word for it. All products are handmade using essential oils, and if you act quickly, you can get them bundled at a 15% discount and with free shipping. I’ve always found Rapha’s service to be one of the quickest in the industry—even when ordering from overseas (just make sure you’re home to sign for it). Of course, several stateside retailers carry the line as well. Ladies, this might be one cycling gift you won’t mind buying—just leave my soap alone! Bill Strickland and Joe Parkin both published new books this year—but about very different subjects. Strickland’s Tour de Lance offers a close look at the Texan’s attempt to return to prominence at the 2009 Tour de France, so if you’re already Lanced-out, this one isn’t for you. But if you enjoy clear, passionate writing from a perspective few are often granted, pick one up or download it for your Kindle. 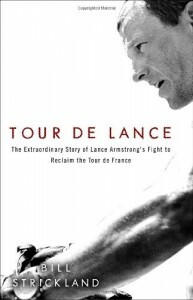 I found the book helped me work through some of my own feelings about Armstrong—as both a cyclist and a media darling—offering some much-needed validation for my opinions of both the Pre- and Post-Cancer Lance. As for Joe Parkin’s Come and Gone, the hard-luck rider we came to love from A Dog in a Hat returns here with a description of his domestic career following his time spent in Belgium. 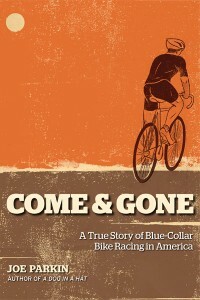 Fans of Coors Light era road racing and the mid-1990’s mountain bike scene will certainly find this a treat. Read together, these books offer an interesting juxtaposition of riders at very much opposite ends of the sport doing their best to get one last year out of their careers. Both books are widely available, and if you order soon, you can have them by the end of next week. 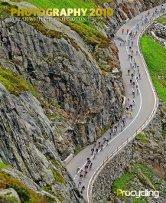 When I first read about Pro Cycling’s Photography 2010 I made the foolish mistake of ordering it directly from the UK. Luckily, the publishers didn’t charge me an arm and a leg for it—including what I had feared would be overly exorbitant shipping costs. Regardless, I still felt a bit sheepish when I walked into my local Barnes and Noble the next week to find a nice stack of them sitting on the magazine shelf. At less than $15, this is an attractive, affordable, and easy to find gift for the racing fan on your shopping list—and while you’re at it, get one for yourself too! Those are just some of the items on our list. What are you planning to give–and hoping to receive–this holiday season? This entry was posted in Featured, Sticky Bidon and tagged Books, Clean Bottle, gage and desoto, gift guide, joe parkin, laek house, photography, pro cycling, rapha, Strickland, tour de lance. Bookmark the permalink.